I learned classical guitar for about 6 months when I was 15 years old, back in Brasilia. Long enough to develop callouses (which have long faded away) and to get frustrated because I wasn’t learning any rock songs, as I wasn’t being taught any chords, just a hell of a lot of finger picking! It was my mother’s idea… I just wanted to play the drums. We couldn’t afford a proper drum kit, and even if we could, we lived in a flat, it would have been too noisy. For some reason (probably money) an electronic drum kit wasn’t an option we considered. So I got given a guitar instead (and reading my diary I would like to point out that I was quite pleased with this gift). My mother was an accomplished guitar player when she was a teenager in Rio de Janeiro. She used to be friends with Ivan Lins, before he became famous. And she did really resemble Nara Leao! I’ve seen a couple of photos of her performing on stage, wearing a very 60s fitted dress – I need to take a photo of that photo next time I go to her place. Moving forward in time, my son also learned the guitar from ages 7 to 12. To live vicariously through my son, I also got him an electronic drum kit and he got much more into playing drums than the guitar, but still, he got good at the guitar too, playing in school concerts. Then he lost interest in both. For the last few years the guitar has just been sitting in the hallway, unloved and unused. It’s a nice acoustic/electric guitar – a Cort SFX-1NF NS. D’Addario EXP16 Strings. About a week ago, I was in the attic putting the Christmas decorations away and found a copy of ‘Guitar for Dummies’ and, having time on my hands, I decided to read through the book and see what happens when I get to the end of it. So far I have spent two hours on it this week, and fingers 1,2 & 3 on my left hand are indeed aching. Day One: Introduction, Chapter 1 to Chapter 3. I spent a bit of time tuning the guitar with an electric tuner, which I had to firstly figure out how to use: (Eno, ET-3000+) – it was inside the guitar case and also belongs to my son. This is where I’m reminded what note each open string corresponds to, from the top: E A D G B E. EADGBE: Eddie Ate Dynamite Good Bye Eddie! Day Two: Between day 1 & 2 I picked the guitar up for a few mins to go over the first progression. IMPORTANT LESSON LEARNED ON THIS VIDEO: keep strumming, don’t stop when changing chords, just keep on strumming! Also pleased to hear when I play along with the chords the guitar doesn’t sound massively out of tune! D -> D Em G A progression. C -> C Dm Em F G Am progression. Yesterday (Sunday) I mostly practised the Nirvana song by playing along to it on YouTube. I can sing it and play at the same time already, it’s that easy! Various ways of playing the dreaded F chord…. I’ve been playing shape 7 today. Has it only been five days? 😮 I’ve lost the feeling on top of fingers 1, 2 & 3 on my left hand already. Quite surprised at how obsessed I have become by it as all I want to do is practice. I had decided to rest today as my fingers are raw after yesterday. But I failed at resting. It’s only early morning and I already picked the guitar up to think a bit more about the F chord and how I’ll be playing it for now. It all feels natural with the guitar, so those 6 months of learning are still in there somewhere. Do I feel that playing the berimbau helps playing the guitar in any way? I really don’t know… But at one point I did think the speed in my right hand is good, and it must be thanks the baqueta action: though the guitar is up/down and the berimbau is forwards/backwards with wrist flick. Also, annoyingly, playing the guitar aggravates my left shoulder impingement, just like playing the berimbau does. I had a quick look at Wish you were here – Pink Floyd again and I feel ready to learn it now. Here’s how to play the intro in detail, which I worked on today. This is for the future, I wonder how long it’ll take until I can begin to learn to play Aquarela. I started reading chapters 7 & 8 in the book but I think I need to spend more time on the basics. Found Ultimate Guitar website, seems to have almost every song plus I can add my own -> Here’s a practice playlist created. You can also have it as an app on the phone and access the songs offline. Still sticking to the easier chords until I get better at changing between them. My practice playlist (only visible to users) has 30 songs now, which I’ve been practising regularly and I can play some better than others. The callous on my index finger has peeled and the one on the middle finger is about to. It has A LOT of content, wonder how long it’ll take me to get through!? I’m guessing quite a few months. Practice schedule – 1 hour a day? What level do I want to get to? NOT PROFESSIONAL BUT ABOVE MEDIOCRE! 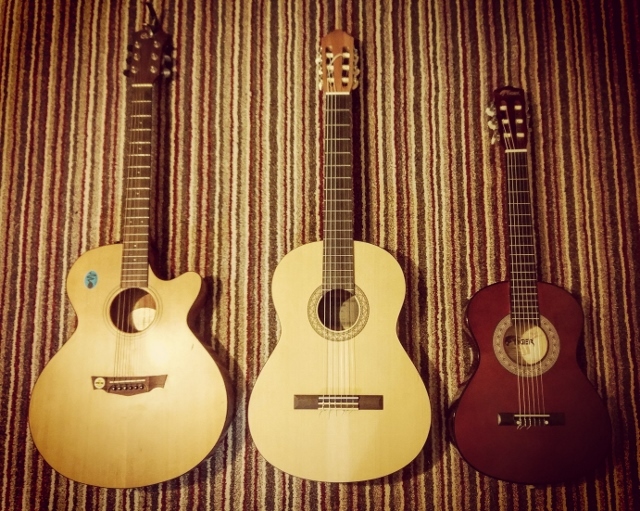 November was the month I started getting more into classical guitar and even bought a classical guitar(Yamaha C40M, £118). Compared to metal strings it’s so much easier, but I’m used to the narrower frets and shorter spacing between strings, so when I move from one guitar to another I get a bit lost and have to look at my hands more. I want to play samba, bossa nova and classical songs so it made perfect sense to get a classical guitar. I’m glad I started with metal strings though, as classical is a lot gentler. Going from nylon to metal is a lot harder than the other way around. The way the strings vibrate more and feel so much more loose still disconcerts me! I now have two playlists on Ultimate Guitar, one with songs and another with exercises I do regulary (Scales/Fingerpicking exercises playlist) – once again, these links are more for benefit, when the playlist is shared most of the content isn’t visible for reasons I haven’t yet investigated. All the tabs are here in txt format. * Started Music Theory Comprehensive on Udemy (Jason Allan) 30 Sep 2018 – £10.99 Pure theory, using keyboard. Will I ever finish it? (Next Lesson here). 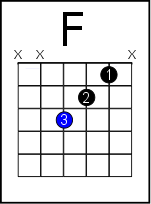 Once I realised I was learning to read notation more quickly with the guitar I stopped this one. I woke up with the introduction to Asa Branca in my head yesterday, and finally I’m at a level I can actually try to learn how to play it (I looked into learning it a few months ago and thought ‘not yet!’). One of the most famous songs in Brazil, the introduction needs no introduction! I wonder how much practice it will take me to play at full speed, but the notes and chords themselves are not hard. The other challenge was the pattern when picking the strings, but after about 10 minutes I got the pattern(I went through this lesson). Because I had the samba pattern in my hands I had to override that with this one, so it took a bit a few minutes of drills: Baião (great class in Portuguese). UPDATE 18Jan2019: Asa Branca has become a regular practice song, I can now play it full speed and sing along. 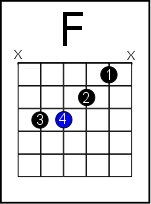 I practice using the baião pattern which means I can simplify the chords (i.e. for the G I just need to fret E3, for G7 E3 & D3) and also plain strumming where I fully fret the chords. Occasionally getting achy wrists (especially on fretting hand) made me think about the importance of warming up and also having good posture while playing. I’ve been thinking about it for a while, time to make a note of it, as it’s very important. Warm up: I used to warm up on the guitar by doing some scales, but it’s important to warm up even before getting to the guitar. I put this together as my own routine, it’s what works for me, it takes 6 minutes. There are lots of websites with stretching exercises out there. 10) Shake arms to make them loose, massage hands. I like to give my hands/wrists self massages whenever they are idle, to keep them supple and injury free.